This bright yellow spice has antioxidant, antibacterial, antiviral, and antifungal properties, which means that it helps to guard against cancer (particularly colon and prostate), cardiovascular disease, and a variety of other chronic and contagious illnesses. Turmeric can also lower cholesterol and may even protect against neurodegenerative diseases such as Alzheimer’s. Turmeric has anti-inflammatory properties, particularly when consumed with ginger, and research suggests that it may be beneficial for those with arthritis. Curcumin, found in turmeric, may ease the symptoms of inflammatory bowel diseases including ulcerative colitis and Crohn’s disease. In addition, there is evidence that it may soothe upset stomachs in some cases. 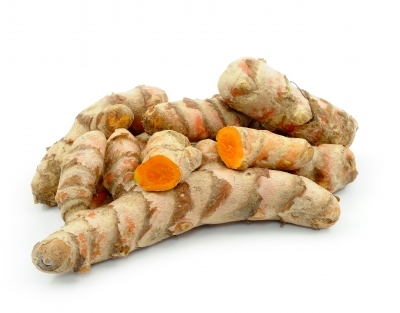 Turmeric is also a source of vitamin B6, potassium, and dietary fiber, all important nutrients for good health. Turmeric works well in curries, recipes featuring lentils, and dishes with sautéed vegetables such as green beans, cauliflower, and onions. It can also enhance certain salad dressings and rice dishes, particularly those that call for nuts and/or raisins. Handle turmeric with care, as it can stain fabric and skin. For a full list of healthy herbs and spices and the reference list for this information series, see the main High-Antioxidant Herbs and Spices page. For more food articles, see the main Food page. For a full list of health-related articles, see the Health page.